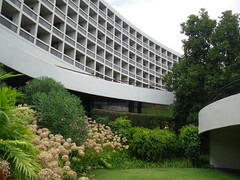 The greenery and the design are simply sublime and wonderful @ The Pestana Casino Park Hotel in Funchal, Madeira, Portugal -2009! Urban masterpiece! / We-Present: Travel-UggBoy-The-Photographer!